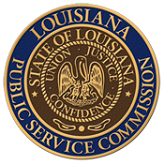 The Louisiana Do Not Call Telephone Solicitation Relief Act of 2001 directs the Louisiana Public Service Commission to promulgate regulations and to compile and maintain a "Do Not Call Register." The Register consists of telephone numbers of Louisiana residential telephone subscribers who have elected to reduce telephone solicitations. Business numbers may not be included on the list. The law requires the "Do Not Call Register" to be operational by January 1, 2002. In response to an express request of the person called. For purposes of this Order, in the case of property or services advertised and offered to sale directly by the owner or provider thereof, if such advertisement or offer contains the phone number of the owner or provider or its authorized representative, then such advertisement or offer shall be deemed to be an "express request" by the owner or provider for inquiries relating to the sale or purchase of such property or services. This authorization expires six months after the "express request" is granted. Primarily in connection with an existing debt or contract, payment or performance of which has not been completed at the time of such call. To any person with whom the telephonic solicitor has an existing business relationship, or a prior business relationship that was terminated or lapsed within six (6) months of such call, except by a person or business that conducts automobile sales and does not complete the sales presentation during the telephone solicitation and is made in contemplation of the sales presentation being completed at a later face-to-face meeting between the telephonic solicitor and the person contacted and where the contacted person has previously made purchases from the automobile dealership. On behalf of an organization, which has non-profit status under Section 501(c) (3), or (6) of the Internal Revenue Code, unless such organization utilizes the services of a paid professional solicitor, as defined in R.S. 51:1901(6). For the purpose of conducting marketing research, public opinion polling, or similar activities that do not involve telephonic solicitation or selling or obtaining information that will or may be used for telephonic solicitation or selling. Constituting political activity. For the purposes of this Order, calls constituting political activity are defined as calls made for the sole purpose of urging support for or opposition to a political candidate or ballot issue provided that the callers identify themselves; or calls made for the sole purpose of conducting political polls or soliciting the expression of opinions, ideas or votes; or calls made by any newspaper or periodical in the state, which is qualified to be the official journal of the state or any parish, municipality, school board, or other political subdivision, as provided by Chapters 2 and 4 of Title 43 of the Louisiana Revised Statutes of 1950. Without completing or attempting to complete a sale, said sale to be completed only after a face-to face meeting between the telephonic solicitor and the person called at the telephonic solicitor's primary place of business or at another location selected by the purchaser. The call must be the result of a referral of the person called to the telephonic solicitor, or be placed to an individual who is personally known to the telephonic solicitor. If placed as a result of a referral, the telephonic solicitor must provide to the person called the name of the person who made the referral. If the person called does not wish to be called after such initial call, then the telephonic solicitor shall not call that person and shall maintain a list of such persons. This exemption shall not apply if directly following the sale the telephonic solicitor attempts to deliver an item or collect payment from the person called or caused another to do so. For more information on exemptions, see the Frequently Asked Questions for Consumers. To register for the Do Not Call program please click here.